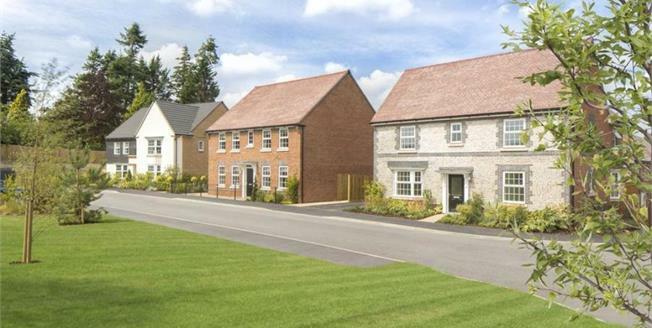 The Chelworth is a stunning four bedroom family home. The ground floor presents an impressive kitchen, family, breakfast room with French doors on to the garden and utility, a separate dining room, a spacious sitting room, useful study and WC. The family bathroom and four sizeable bedrooms are set on the first floor, with the master bedroom benefiting from an en suite. Amid the broad panoramas of the South Downs National Park nestles the prestigious development of Millford Grange offering two, three, four and five bedroom homes. The settlement offers a gateway to the West Sussex countryside, with a nature reserve at the community's northern edge giving way to heathland and pasture fields beyond. Worthing's seaside retreat is only 15 minutes drive away making Storrington the perfect location.